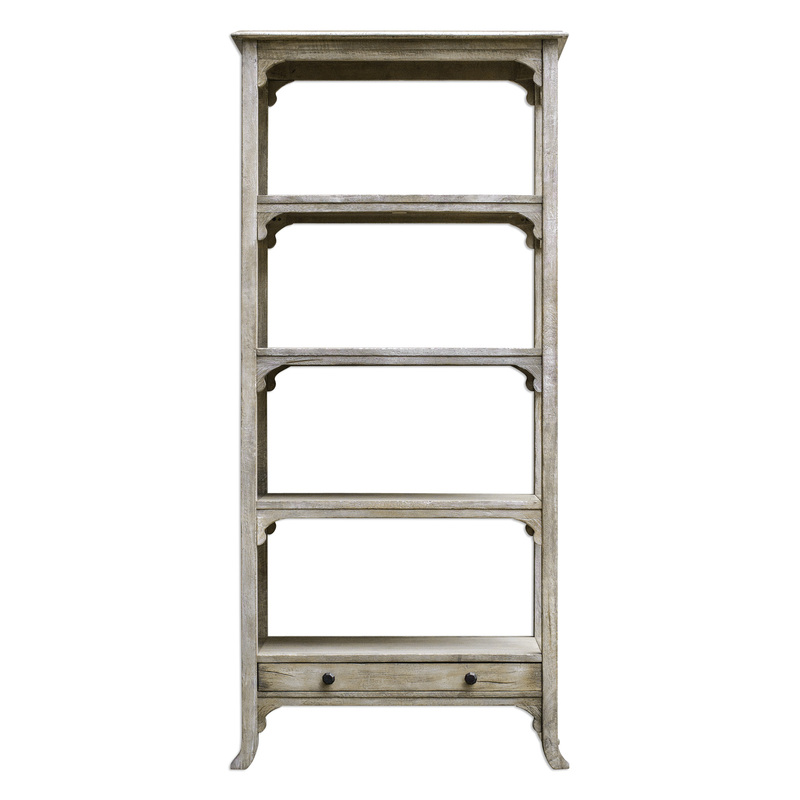 The Accent Furniture - Bookcases Bridgely Aged White Etagere by Uttermost at Miskelly Furniture in the Jackson, Pearl, Madison, Ridgeland, Flowood Mississippi area. Product availability may vary. Contact us for the most current availability on this product. Finish & Paint Options Plantation-grown Mango Wood Makes Up The Solid, Carved And Dovetail Construction With Deep-grained Mindi Veneer In An Aged White Finish With Antique Brass Drawer Pulls.